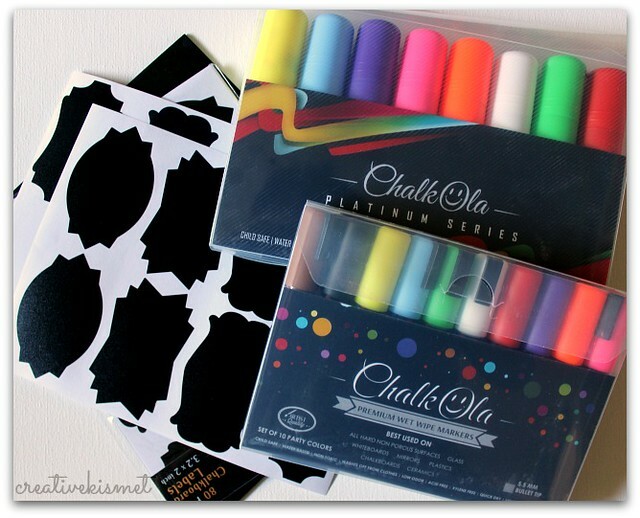 The very kind folks from ChalkOla sent me these free chalk board markers to try out and review. I have two doors in my home painted with black chalk board paint, so of course I jumped at the chance to check these markers out. The image above is on my kitchen pantry door. First, I love the neon colors! Second, the two different style markers make writing and drawing super fun. They come in 6mm and 15mm. The 15mm markers are my favorite because you can make both bold and thin lines and fill in larger areas quickly. 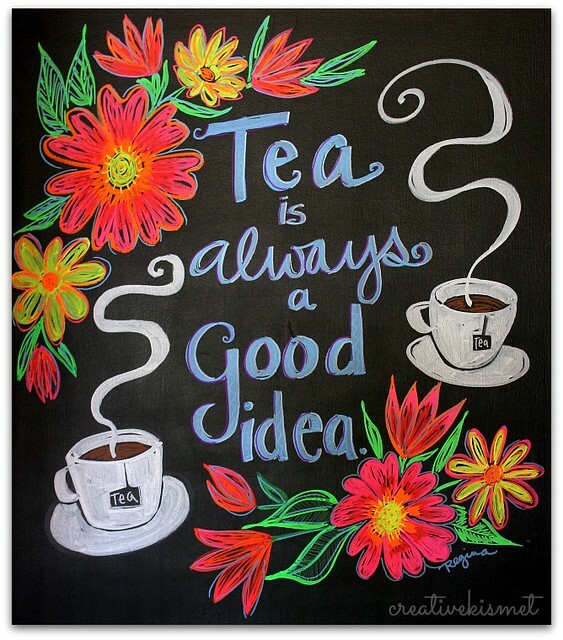 I used the 15mm markers, almost entirely on the Tea drawing above – using the smaller markers to add highlights and small details lines. Here is my other door, decorated with lovely words by the Beatles for Valentine’s day. 1) The Markers are used on Non Porous Surface only (So its best to test a small area). They work great on windows, chalkboards, whiteboards, glass, labels, etc. 2) Chalk markers, as a medium, have high density Chalk Ink. 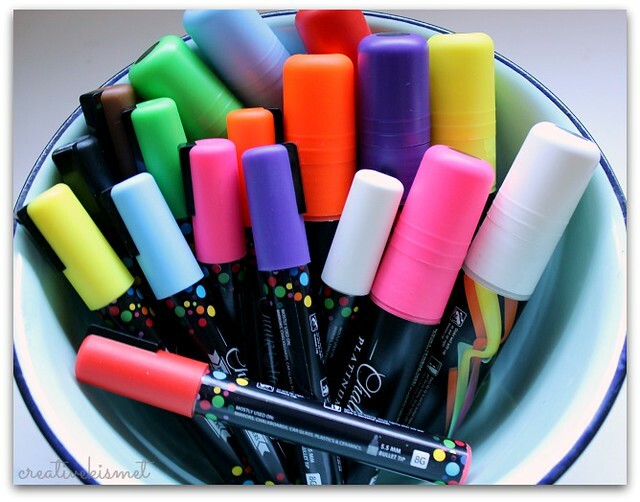 New markers take 2 to 3 mins prep time – Once used the ink flows smoothly. 3) They are perfect for kids, parents, teachers, crafters and artists. 4) Wipes off easily with wet cloth (don’t forget to test your surface first!). I also got to try out the chalk board labels, which are removable self-adhesive. 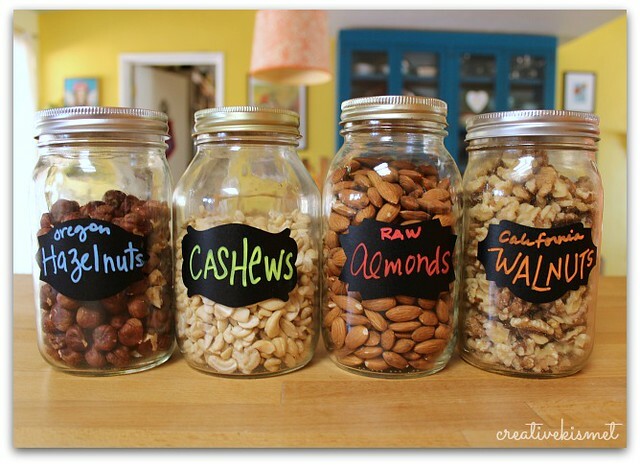 I made labels for my jars of nuts. Now they look so nicely organized in my pantry. ***Although these items were free for review, the Amazon links are not affiliate links. 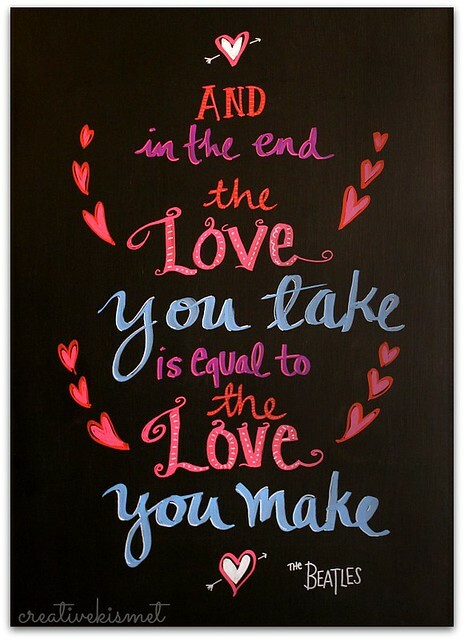 This entry was posted in Art, Home Sweet Home, i make stuff and tagged chalk board, chalk board art, chalk board paint, chalk markers, chalkboard paint, chalkola. Bookmark the permalink. wow, those look like such fun! Did you do anything to seal your doors so that the surface is non porous (before you write on them)?